Natural face & body care is quickly becoming the largest market in skincare. Everyone wants organic and all natural skincare, the closest to nature the better. Today I am reviewing a small line called Beessential, which is beekeeper made and beekeeper approved. The line is made in small, handcrafted batches in the United States. I tried two products from the line, a body wash and hand cream. Below are my reviews. This is an all natural body wash that smells like heaven. If you like Lavender, you will love this. 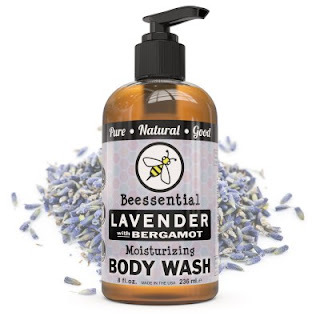 It has the real essential oils of Lavender and Bergamot in it. Free of sodium laurel sulfate, this body wash should be shaken before use so as to make sure that all of the ingredients in it are mixed (since it is all natural, some of the ingredients might separate). The body wash itself is extremely nice. It is a light lather to it, being all natural it does not lather like other body washes but it cleans well. And it leaves the skin scented with a wonderful lavender scent that lasts for hours. The skin feels soft and smooth all day. It is a moisturizing body wash, which is perfect for my skin, which is very dry. You could also use it in the bath, since Lavender is very relaxing, this would make a great relaxing bubble bath. The body wash also comes in Grapefruit & Lemongrass and Peppermint (for acne and sensitive skins). If you have dry skin then this is a great hand and body cream for you. All natural, it is made with Cupuacu and Shea butters to soften and moisturize the skin. It also contains Squalene, Olive Oil, Honey (a humectant that draws moisture to the skin) as well as many skin-softening herbal extracts. The cream contains essential oils of Lavender and Bergamot which makes it smell divine. 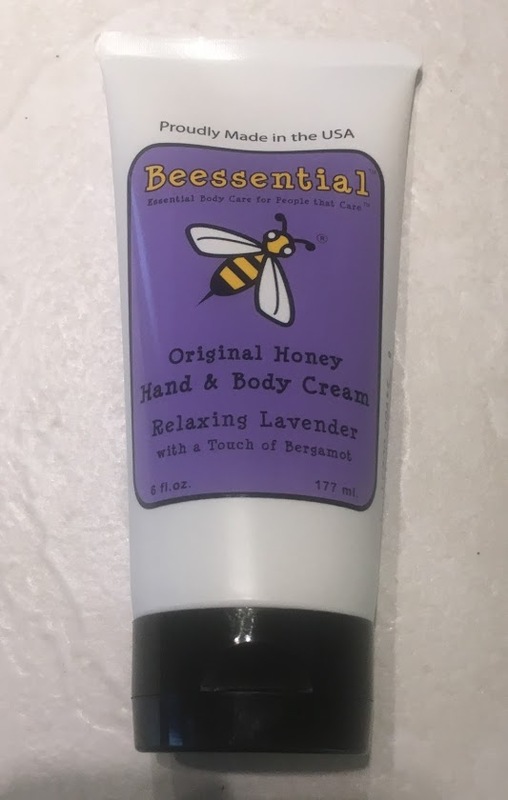 Just like the body wash, when you use this there will be the scent of lavender on your hands and body for a while. This cream provides intense hydration. I was pleasantly surprised how well it helped my dry skin. Even though it is summer my body skin continues to be dry. The cream is paraben-free and free of anything harmful. It is a mild, gentle, non-irritating body cream. It is great for hands, face, feet and all-over the body. I really like this cream. One application on my hands and they felt soft until I washed them, even then I could still feel the cream on my hands helping to keep them soft. Beessential products are available online at www.beessential.com. Like Beessential on Facebook:https://www.facebook.com/Beessential.Cosmetics; Follow Beessential on Twitter:@BeessentialBDCR; Follow Beessential on Pinterest:https://www.pinterest.com/search/pins/?q=beessential&term_meta=beessential|typed and Follow Beessential on Instagram:https://www.instagram.com/Beessentialbdcr/.